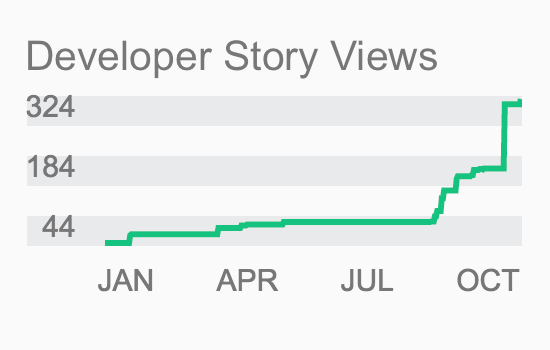 I would like to be able to see how many times my Developer Story has been viewed. 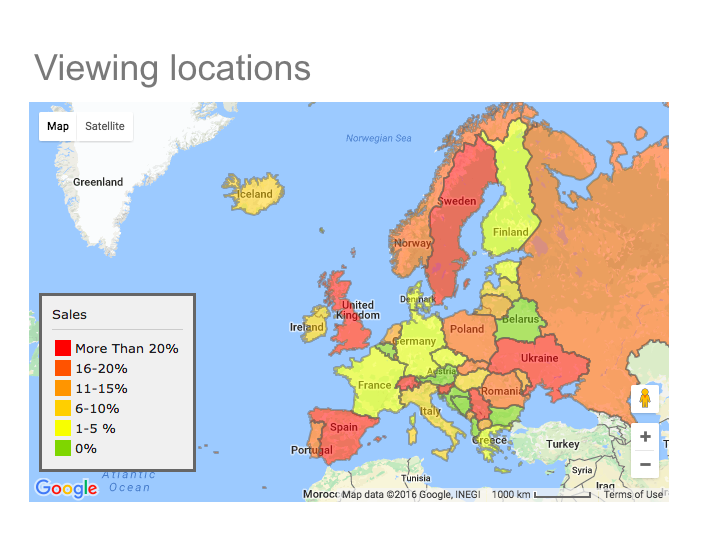 Since the employer who visited my profile can't be disclosed (I am assuming so), It would be better if I can see analytics based on location like city or town. Site from where my profile has been visited. 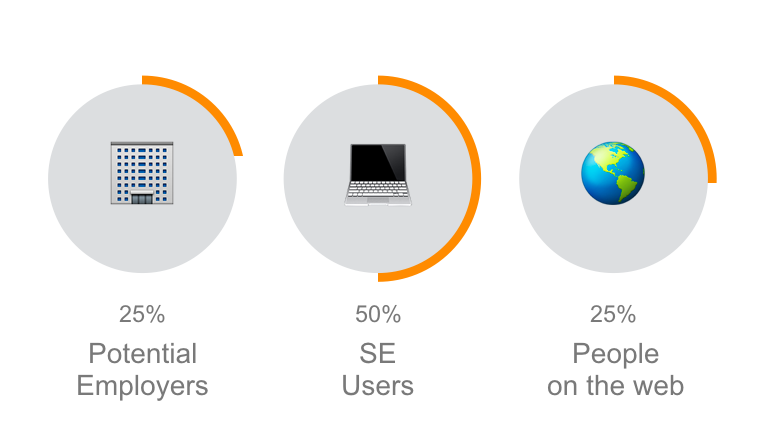 I believe that most people who are actively looking for a job on Stack Overflow or those who are interested in who is viewing their Developer Story would appreciate having access to this information. Realistically, there aren’t any privacy implications by giving the owner of the story access to such information through a web based interface, although others users should not be able to view this information. The third point might not be necessary, but all the other information should be presented in the appropriate graphs and tables, filterable by dates. I imagine this to become a very simple version of Google Analytics. Here, you can see that this is a regular Developer Story URL, but with the extra ref_id on the end. I envision an area where you could generate a new URL with a unique id, and use that URL for whatever purpose you envisage. You could then assign a name to the specific URL within Stack Overflow. Obviously, there would be a separate option to generate the above URL for the traditional view. Perhaps a special tab for analytics? Perhaps a view counter something like the reputation counter? Perhaps a dialog like this when generating a new URL? Not the answer you're looking for? 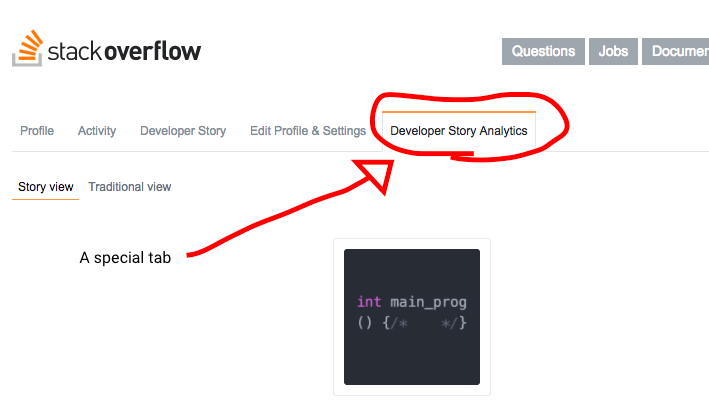 Browse other questions tagged feature-request status-review developer-story views .